Harken back to yesteryear when the Bush regime was defending itself against charges that it had engaged in warrantless seizures of telephone communications in open violation of the FISA law and the Constitution. This formulation was well suited to King George, because, like him, it is simple. It overlooked the fact that the FISA law was specifically designed for the task of enabling the government to listen in on terrorists, and that therefore, the formulation really did nothing to explain why he should be allowed to break the FISA law with impunity. More importantly, it overlooked the fact that the government was listening in on hundreds of thousands of conversations, and presumably not all of them involved terrorists. I argued here that the program of domestic spying was actually a program of domestic spying for political purposes. Some may say the evidence I cited was weak, though it was more than the evidence that sent American troops into Iraq. Still, I have a heavy burden to bear if I am to convince an impartial world that the United States of America engages in spying for political purposes. What got me thinking about it today, was the latest news from across the pond. 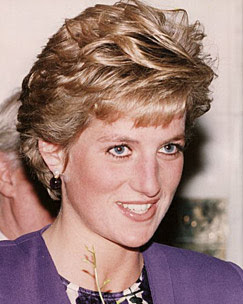 The American secret service was bugging Princess Diana's telephone conversations without the approval of the British security services on the night she died, according to the most comprehensive report on her death, to be published this week. Who woulda thunk the Duchess of York was a terrorist? There's always room at the table.